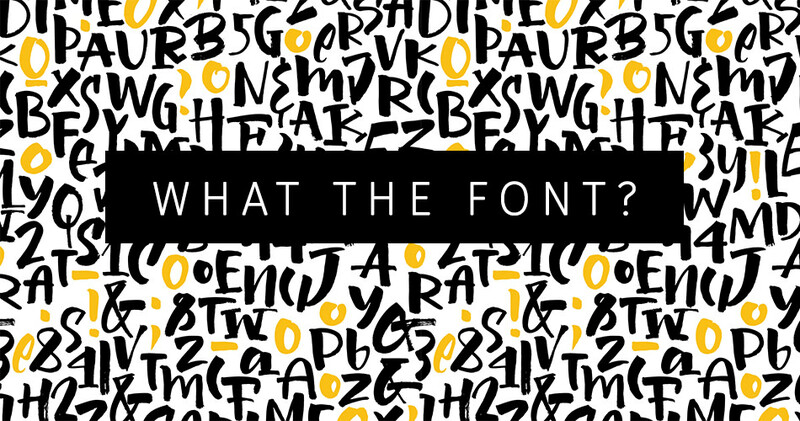 For many beginners in the design industry, the task of picking fonts is confusing to start with. When looking for the perfect font to use for a logo or design, you need to consider the “voice” you want to be heard. Do you want it to be modern such as a slab serif, or do you want something a little more traditional such as a serif font. Picking a typeface is like getting dressed in the morning. There’s a difference between typefaces that are expressive and stylish, versus those that are useful and appropriate. All designers have fonts that doesn’t make it out of the closet too often, because they are a bit too expressive, but there are always those that we end up using a lot just because they go with everything. Typefaces can be divided into dozens of categories, but we only need to keep track of five groups to establish a working understanding. Serif - The most common serif typeface is Times Roman. This is where a small decorative line is added as embellishment. Sans Serif - A popular Sans Serif font is Helvetica, this is where the small decorative lines are not added on. Display - These type of fonts are used to entice a reader into text or copy. They are normally not used for a lot of text and only headings or short taglines. Handwritten - Also known as Calligraphy or Cursive fonts. Monospace - Known as a fixed-width font. Each character occupies the same amount of horizontal space. Sometimes we keep using one family with different weights for our worksheets, but we need to know how to mix and match these fonts. Correspondence is when you put two similar fonts next to each other and they work. Contrast is when you place two different fonts together to make it look interesting, but it still works. Keep in mind that it is easy to create a mix of fonts that can be uncomfortable. At times we need a font that overflows with personality, whether it is for that house party flyer or Thai Restaurant menu. These are our ‘Stand Out From The Crowd’ fonts, which really means that you shouldn’t overuse them. Use these type of fonts as accent fonts, just to give the artwork a bit of personality. When using them a lot, they can easily lose its charm. There aren’t really rules on how to use fonts in harmony, just guidelines. When two different fonts work together, they work, even if it is from two different categories. In the end picking typefaces requires a combination of understanding and instinct as well as practice. Select one font you can use over and over for months and stick to it - remember that quantity is not a substitute for quality.